Body Helix Brand Ambassadors embody this quote. Our ambassador program supports athletes of all sports and all ages that strive to make injury prevention and injury management a part of their everyday routine. To learn more about becoming a Body Helix Ambassador, click here! If you are between the ages of 11 and 18 and are interested in our Junior Ambassador program, click here! Please click on a sport below to see particular Ambassadors involved in each sport. What sport(s) do you play and how long have you played? I have played tennis for as long as I can remember (probably pushing 35 years at this point). I was a competitive junior tennis player and played college tennis at Washington State University. 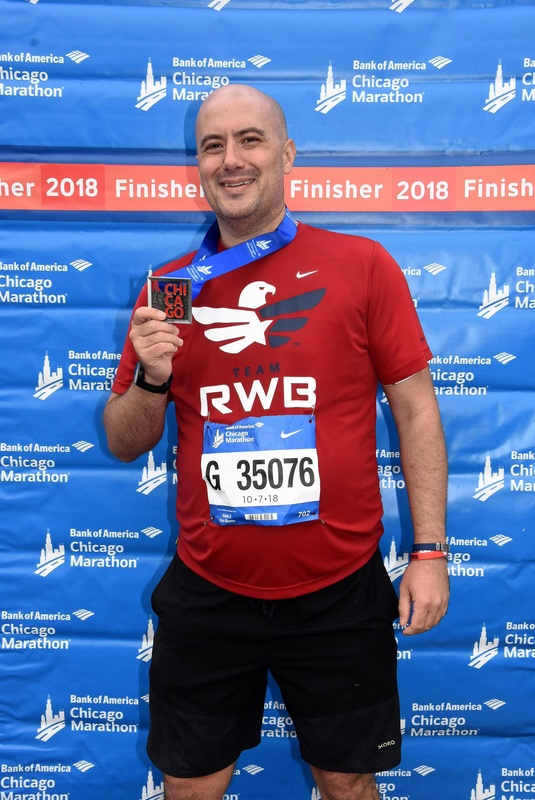 Earlier this year I completed my first half marathon—and although I don’t particularly love the (length of) training runs, I really enjoyed the competitive nature of the race, supportive running community, and the mental and physical challenge of completing 13.1. I would label myself a “beginner” runner and am a member of Oiselle Volee. I also have become a fan in the last year of Orangetheory Fitness—and go to that 4-5 days a week. I am also an amateur yogini. Love all types of yoga, but in particular in the hot room. Tennis: it’s never easy and it’s such a combination of mental and physical. It also has provided me with so many opportunities: two degrees, my career, lifelong friends, unreal memories! Running: I’m not very good at it, so it’s an amazing challenge. OTF: Toughest workout out there for me—and time efficient. As a mom with two little kids, time efficient is KEY! I love the camaraderie of the location I go to and the coaches there and HR monitoring keeps me pushing my upper limits. Yoga: Makes you go inside and be in touch with your body. I LOVE the hot room as the heat is therapeutic and I find it is easier for me (a less than naturally flexible person) to ease into some of the more challenging poses. What is (are) your favorite Body Helix product(s)? I love my Patella Helixes! What are your overall goals regarding physical fitness? Keep stretching my upper limits—especially as I get older—while still being kind to my body and investing in physical and mental recovery. ? Lizl is a nationally ranked tennis player and owns her own physical therapy practice in Charleston, South Carolina: Lizl Kotz Performance. I have played tennis ever since I was eight years old. I played competitive junior tennis in both South Africa and the United States. I then played college tennis for Indiana University. I took most of my 20’s and 30’s off from competing in order to focus on my family but have now enjoyed competing again at a national level. I value the exercise and friendships tennis provides. Tennis is incredible exercise for an aging body and mind. The balance required in tennis is a great skill to have as an adult. Winning a tennis match requires both physical and mental efforts. The strategy involved in winning a point and then a match helps me stay mentally fit. I really like the Full Thigh Helix and the Elbow Helix. I know the medical field is continually advancing with new medical technology to help humans live longer. I am passionate about movement and how it affects the human body and brain for the better. Unlike some medical treatments that may work for some but not for all, physical exercise is of great benefit to all at any age with no side effects. I plan on using fitness to help me live longer and feel stronger at the same time. In the past several years, Shaun has completed 29 half marathons and two marathons. 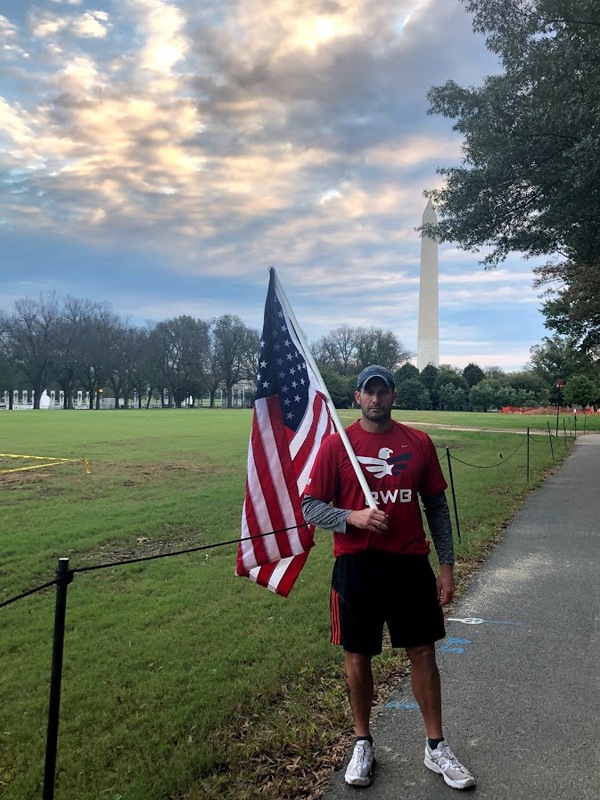 He is a member of the 100 Half Marathons Club and has recently registered for his first Spartan race. Having been active my entire youth, playing baseball, volleyball, lacrosse and running track, I wanted to avoid falling into the 9 to 5 sedentary office routine. I turned my focus onto running. Peace of mind. Competition with myself. Always trying to achieve the next level. I love the Patella Helix compression sleeve. I recently tried the Thigh Helix because of some hamstring issues and I am enjoying it. To stay healthy. To continue to better myself and to push myself to the next level. I love the Full Elbow Helix and the Full Knee Helix. Staying mobile, active and offsetting my enjoyment of eating. Tyler is heavily involved with the sport of gymnastics. 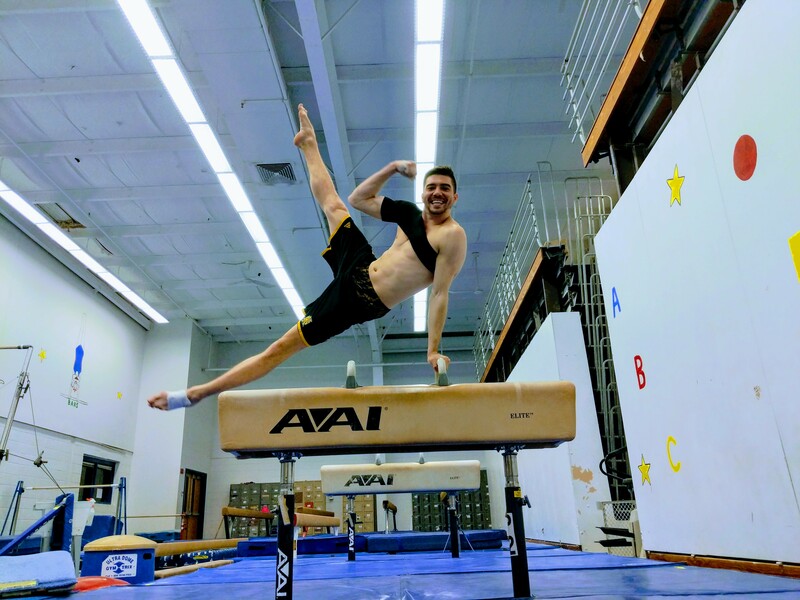 He coaches, judges, is a Board Member for the National Association of Intercollegiate Gymnastics Clubs (NAIGC) and he also works for the nation’s largest gymnastics magazine, Inside Gymnastics. The results! Gymnastics will get your body in better shape than any other sport! Also the ability to do different flips and skills is a fun perk!! My goal is to continue competing in the NAIGC through my 30s and continue to be a leading force on pommel horse. Peter is an avid pickleball, racquetball and badminton player with National Senior Games Gold Medals in all three sports. He is a former state tennis champion and member of the Case Western Reserve University Athletic Hall of Fame. 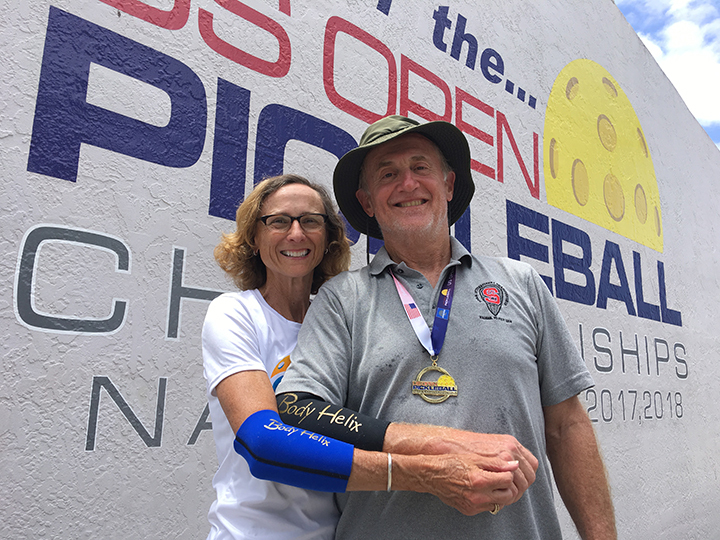 Pickleball is a perfect blend of all racquet sports … and it’s ageless! Today is the first day of the rest of your life … be thoughtful about how you invest in it! Jamie is an international athlete who has represented Scotland at junior and senior level for High Jump. He has won both national and regional titles throughout his career and has competed at many international events across Europe and the Middle East. 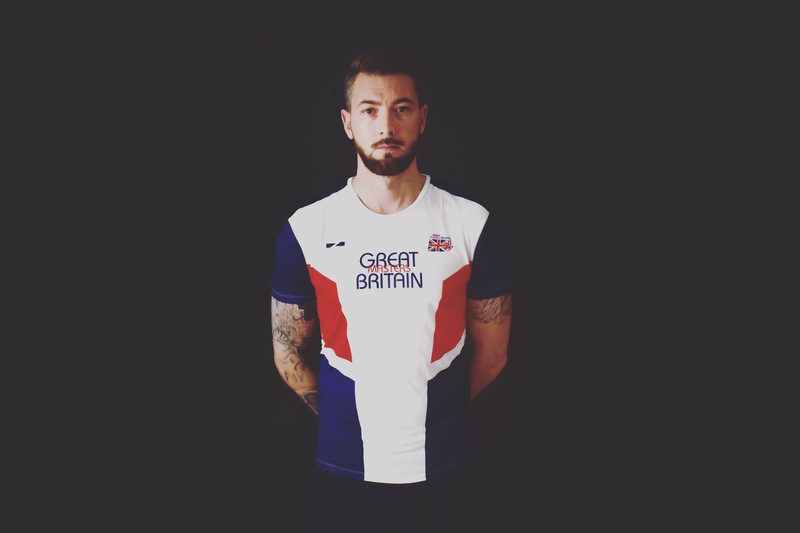 Jamie is now competing at Masters level in the M35 category and is aiming to become World Masters High Jump Champion in March 2019 when he competes for Great Britain Masters in Torun, Poland. I love how graceful high Jump looks even though it’s such a technical and difficult event. Stay in shape and compete at World and European masters championships. As a kid growing up you could find me on the field, the court, or the mat. My senior year of high school a friend of mine introduced me to rugby and I have been playing ever since. The strategy, the physical demand, and the community of rugby keeps my competitive soul happy and full. I currently play for Oregon Sports Union (ORSU) a Portland based team. 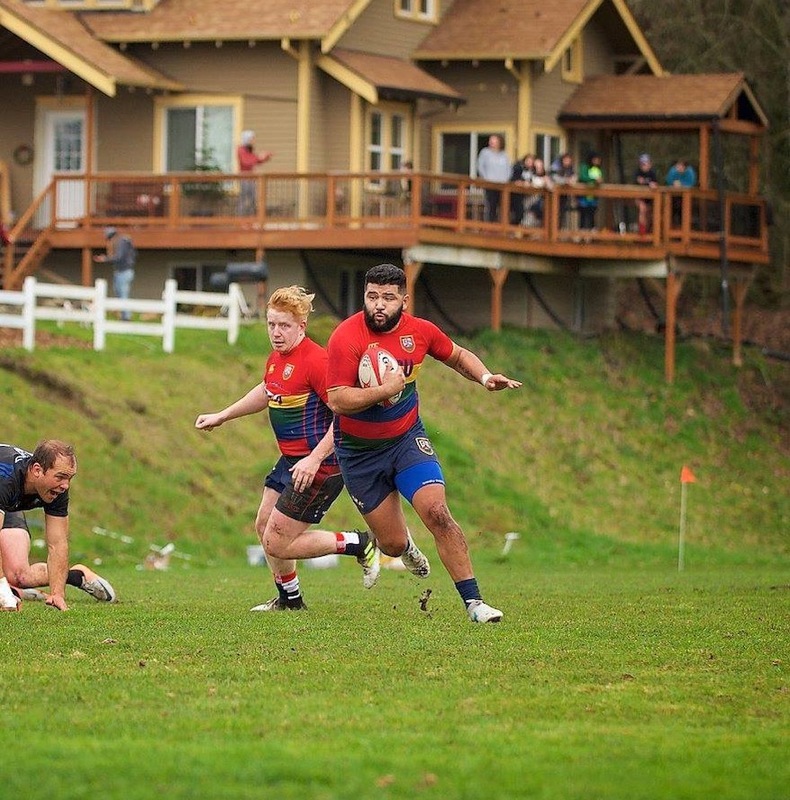 We are apart of the Pacific Northwest Rugby Union. The community and the competition. I love the game, and the unity builds within a rugby club, on and off the pitch. The community that surrounds rugby is like no other and wherever you go, you are sure to find some of the strangest and best types of people within a club. What is (are) your favorite Helix(es)? I believe that it is important to push your body and mind beyond what it is comfortable with. Physical fitness, whether It be a jog or a rugby match, can really teach you a lot about yourself, your limits, and your health. For me, it has allowed me to understand my strengths and weaknesses and set goals that push myself to a level that allows me to be competitive on the field, and healthy in life. As a kid growing up in Hawaii I surfed and also played baseball, football, basketball, and volleyball. I started playing in junior tennis tournaments when I was sixteen, played college tennis at the University of Hawaii, and then played on the ATP tour for a couple years. 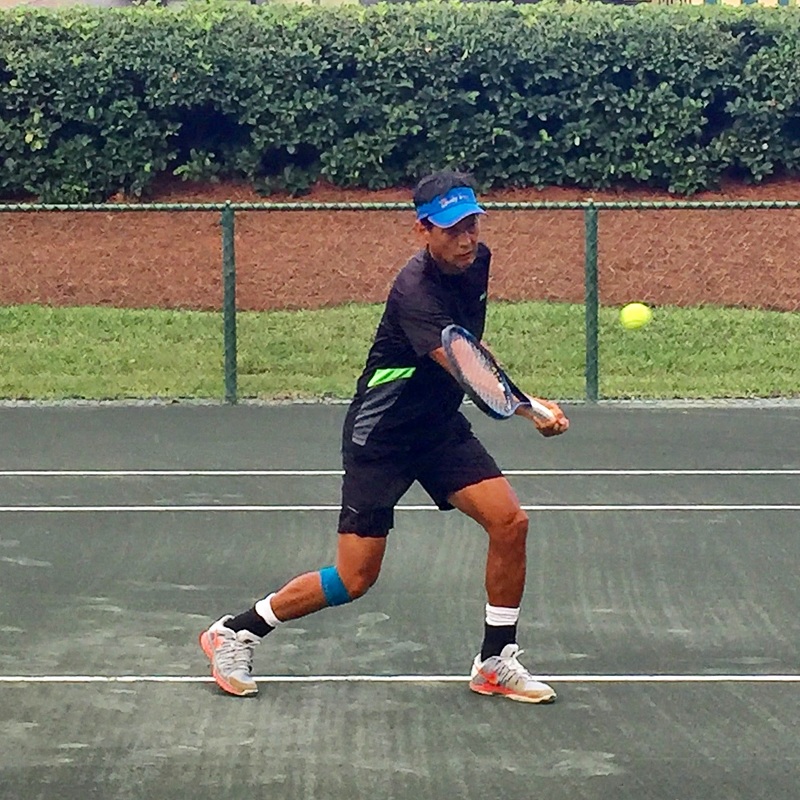 I continue to compete today in national and international senior tennis tournaments. Not only does playing tennis provide a healthy lifestyle that I enjoy, it provides me with a continued challenge to find new ways to develop and improve as a competitor. Increasing my strength, endurance, and flexibility in order to remain injury free and compete at the highest levels in national and international competition. I never felt I was an athlete in high school or college. When I entered the “real world” I realized that I needed something in my life to help manage stress and stay healthy so I began doing group fitness classes. 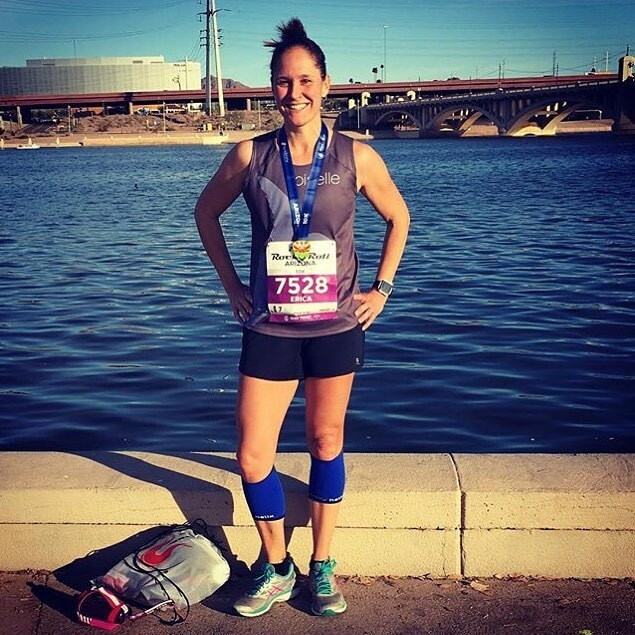 These classes pushed me to realize that I could do more- after I fell in love with RPM spin classes, I realized I could do the Tour de Scottsdale. When I found Orangetheory Fitness four years ago, my fitness routine was really revolutionized. Interval training has taught me that I am strong enough to do the obstacle course races like Tough Mudder and Spartan. Group fitness classes inspire me because of the people that you meet. Everyone has a reason for being there and you will always find support for your goals. I have been with Orangetheory for over four years and I still go five times a week. The different class templates and variety of coaches means I never get bored. Three years ago, I decided to do my first Tough Mudder and I completely fell in love. The mix of physical challenges and the value placed on the power of teamwork made it unlike any other race I had ever completed. I’ve become a fan of obstacle course races as a whole and challenged myself to do the Spartan race as well. These types of races make me realize how strong I truly am. The X-Fit Ankle Helix was the first compression product I ever tried and it changed my running after one workout. My biggest goal with my fitness is to be a role model. In my work, I am in schools all day. I want to show students that even if they aren’t involved in sports now, that doesn’t mean there isn’t a path for them. For my own children, I want them to see their mother challenging herself and being brave enough to get outside of the comfort zone. I want them to value their health and be able to appreciate their own strengths and abilities as they grow. Before you do Tough Mudder, there is an amazing rally. The question they always ask is, “When is the last time you did something for the first time?” I try and live by that in all parts of my life. Jen earned her undergraduate degree from Duke University, where she was a member of the varsity swim team and on the ACC Academic Honor Roll three times. She went on to earn a JD from Emory University School of Law in Atlanta. While at Emory she began running marathons and qualified for the Boston Marathon. She has since given up running 50+ miles per week in favor of 8 minute CrossFit workouts or Flywheel classes. Jen is currently a Corporate Compliance manager for Blue Cross & Blue Shield of North Carolina. She is a CrossFit Level 1 Trainer and coaches at CrossFit Bullpen in Raleigh, North Carolina. She and her husband reside in Raleigh with their three small children. I sort of dabble in sports, lol! I was a swimmer and runner growing up, and eventually swam Division 1 for Duke. I gave up swimming after graduation but really amped up my long distance running, eventually completing 8 marathons and twice as many half marathons. Then babies came along and I turned 30. My body started getting beat up. 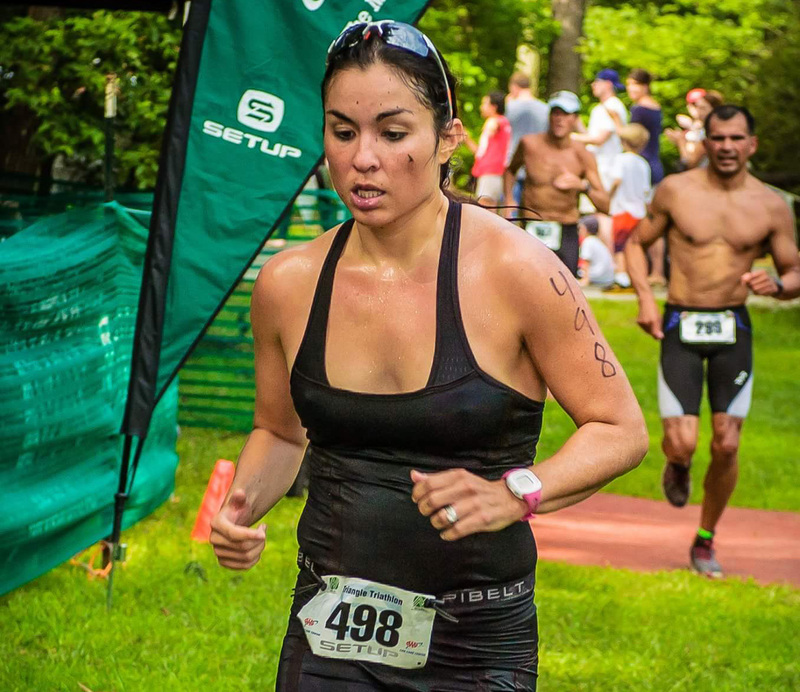 I began dabbling in triathlon which I really enjoyed. After a spinal injury, I turned to indoor cycling and I still do it from time to time. CrossFit has become my real love though. I love that I can do different workouts every day. Some days are strength, some are gymnastics, some are endurance. My running background comes in handy for sure, though I definifely wish I were a gymnast too! That is definitely my weakness. I also really love that as a woman in CrossFit, you can truly focus on what your body can DO, rather than how it looks. I spent so many years wrapped up in this ideal body image that is ridiculous and does not equate to strength or happiness. Now my focus is on performing to the best of my abilities each day, improving, and of course, setting a great example for my kids. I love my Full Knee Helix compression sleeves for squatting, and the Full Calf Helix compression sleeves for rope climbs and running. I want to stay healthy/injury-free first and foremost. But beyond that, I would like to keep learning how to push my body beyond any level I thought was ever possible. My stretch goal, which would require an incalculable amount of dedication, smart training, and sacrifice, is to compete in the CrossFit Games as a Master’s Athlete once I am 40, so I still have “plenty” of time to get there. Paul is a top natinally recognized tennis player, ranking as high as 379 in the world. He achieved National Rankings of #1 in the 30’s, 35’s and 40’s winning over 25 National Tournaments. Staying in top physical shape and taking care of his body has always been a priority. It’s one of the reasons he loves Body Helix because it allows him to compete at a high level while minimizing injuries. Love that I can still compete at 49 and can get a great workout in an hour with a buddy. I love the Calf Helix and the Thigh Helix . Always pushing to be in the best shape I can for my age. Enjoy cross training to keep things fresh. 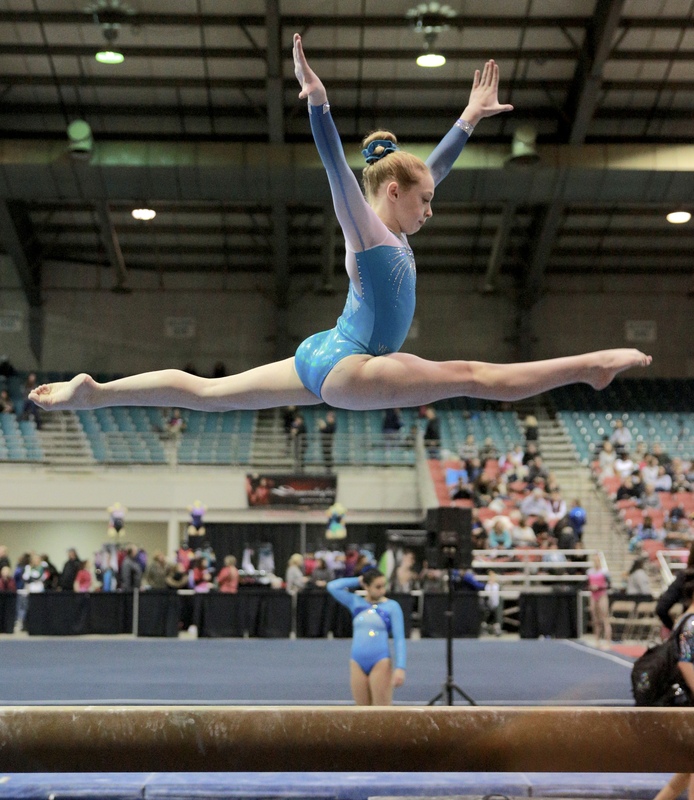 At only 13 years old, Jansen is a Level 9 Competitive Gymnast training at WOGA Gymnastics in Plano, TX. Gymnastics is about pushing yourself to be better every single day. I get a great sense of accomplishment when I master a skill or push myself to try something new. There are so many different elements to gymnastics, so there is always something to improve upon or a new goal to work towards. I have severe Osgood Schlatter’s Syndrome in both of my knees and it is incredibly painful. My ability to train fully was heavily impacted by this until I discovered the Knee Helix Compression Sleeve. From the moment I put it on, I felt immediate relief – I couldn’t believe it! This product made it possible for me to continue training and compete. I want to stay physically healthy so that I can continue in this sport for as long as possible. My #1 goal is to compete for a Division 1 college gymnastics team on scholarship. 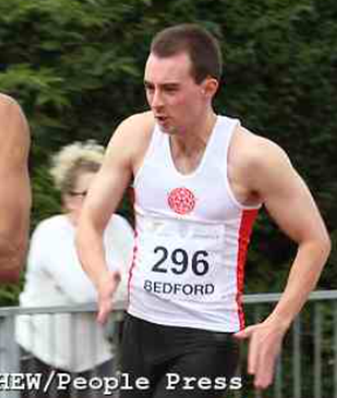 Mike has been running and competing in athletics since the young age of 16. Mike works as a Sports Development Officer for Pendle Leisure Trust in East Lancashire. I love the therapeutic feelings and release I get from just running and training. The athletics track doesn’t judge, pressure or criticize. Athletics is an individual sport and it’s up to you to do the hard work and get the results. Athletics is so diverse and I love that too. Hearing the philosophies the different athletes have from 100m sprinter to 10k runner, javelin thrower to race walker about training and competitions is so educational, I’m continually leaning. This past year has been tough with injury so I’d like to stay fit and healthy for the upcoming season. There is a competition next summer the Gibraltar Island Games 2019, where every two years thousands of athletes from across the globe from Scandinavia to the Mediterranean, the North Atlantic to the Caribbean come together to compete across multiple sports including athletics, swimming, tennis, gymnastics and many more. I would love to compete at this again previously competing at the 2015 Games in Jersey. Representing the Isle of Man is always a passionate and an honourable experience and one I’d love to continue with. I have been a runner for almost 3 years. When I first started running I weighed more than 300 pounds and I have lost nearly 100 pounds all together. Running has changed my life over the last three years. I am now training for an Olympic distance triathlon and the training for that has been as difficult as the training for my first marathon which was the Chicago Marathon in 2018. You are only competing against yourself and your time. I will never win a big race as I am not fast enough but I can continue to do better and improve my times in each race. I have run 8 half marathons now with varying degrees of success along with the marathon and many other races. I can actually feel my body getting ready for a race as I go through the training. My favorite part about the sport is the fact that I can push my body past what I would have thought possible and that the hours and hours I put into training has a direct impact on how well the race will go. I want to continue to improve. I have run thousands of miles in training to get ready for all the races I have run and now I will need to put in miles on the bike and in the pool to get ready for my first triathlon in July. I just want to continue to see how far I can push myself and I am confident that I can accomplish things I never thought were possible. Erik Scott is married with five children and is also very active and lives to be part of the community. Growing up he played numerous sports, from ice hockey and baseball to mixed martial arts and boxing. 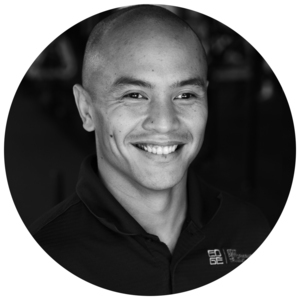 However, when he joined the military, Crossfit and cross training came to the forefront of his training regimen; Nothing makes him feel the way that running and obstacle course racing (OCR) does, though. He began competitively running in 2006 and over the last 12 years, he continues to seek the next challenging adventure. Recently he completed his first half marathon and is now training for full marathon and ultra-distances. What I love about running is not only are you competing again others in a certain group, but also the mental, physical, and emotional competition within ones self to overcome. I have won numerous races at the 5K distance and finished top ten in other distances as well, but nothing beats the feeling of when you beat your PR or when you complete you longest distance, after the days and nights of training that had a direct impact on how you compete. Full Calf Helix compression sleeve. It saved me when I was struggling with Achilles tendonitis. 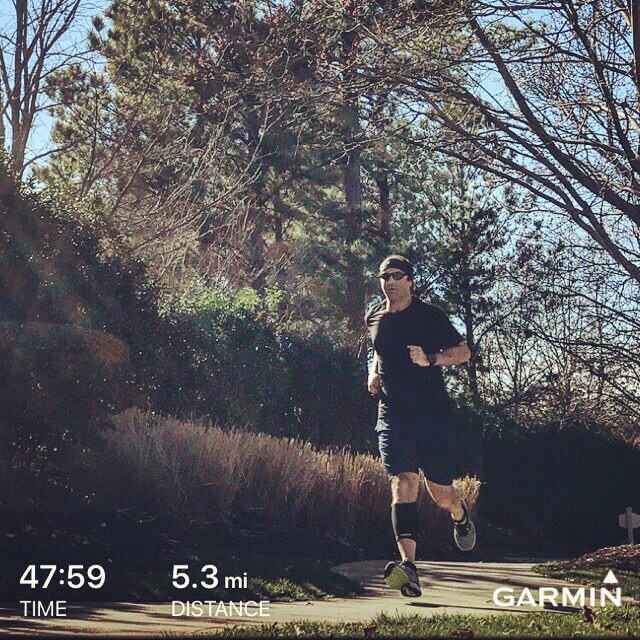 I want to stretch beyond my current standards and push myself even further, eventually reaching 100 mile distances while continuing to improve. As of today, I train anywhere from 50-60 miles per week, but know that this needs to expand even longer, to reach my target goals. I want to prove to myself, but even more to my children, that anything is possible.